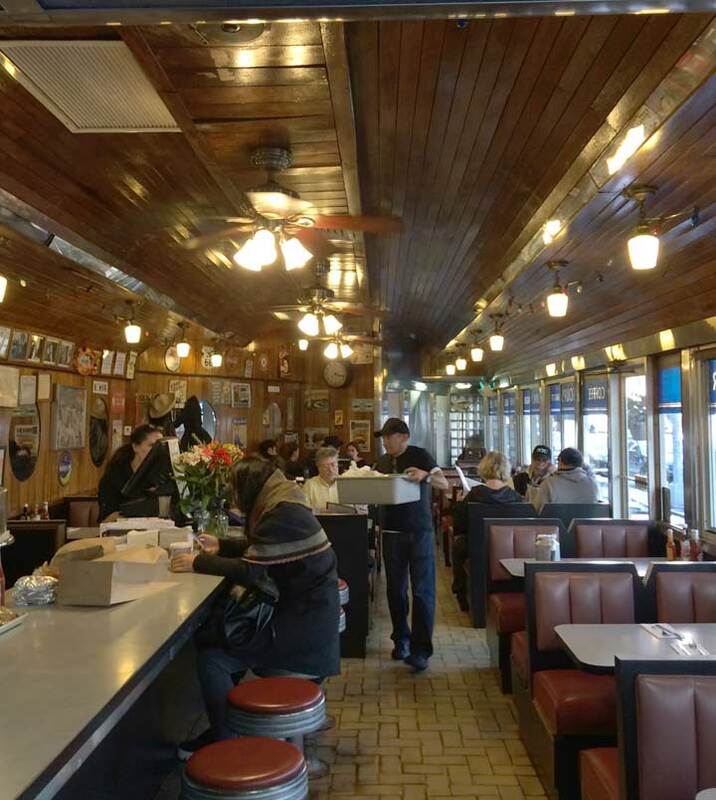 Classic, railway-car shaped diners have become scarce in Manhattan (and to a lesser degree other boroughs) since the Bloomberg Era ushered in Luxury City. Property owners and developers look with disdain on diners, diner fare, and diner customers. They believe that the real estate that diners take up is best used for real moneymakers like banks, chain stores, or high-rise apartment buildings. 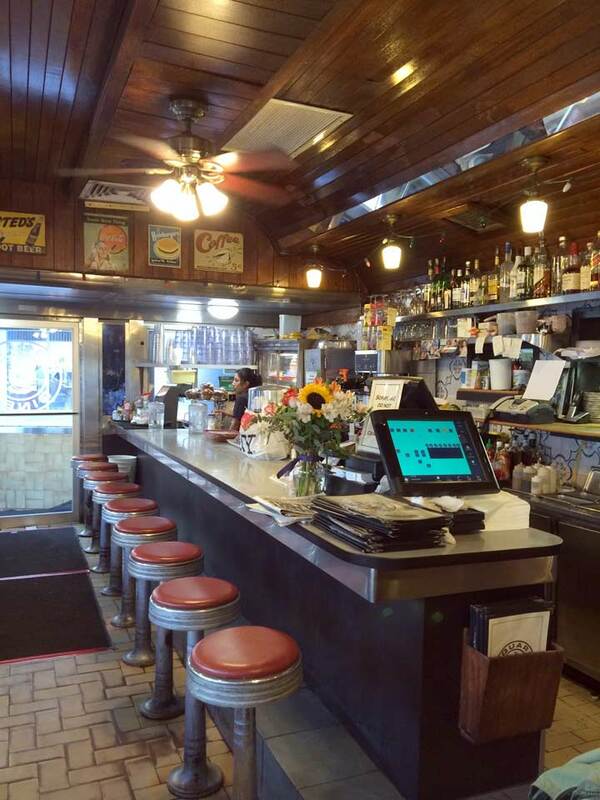 Thus, the standalone classic diners that were well-known even a decade ago like the Moondance (6th Avenue) or Cheyenne (9th Avenue and 33rd Street) Munson and River Diners (11th Avenue) have been forced out and new projects built in their place. Diners that occupy the ground floors of buildings like the Tick Tock, in the New Yorker Hotel at 8th Avenue and 34th, have fared rather better, but all are in danger. Some, like the Empire (10th Avenue and 22nd Street), the short-lived M. Wells in Astoria, and Relish in Williamsburg, have adapted by offering more expensive meals at higher prices. But it never seems to work. 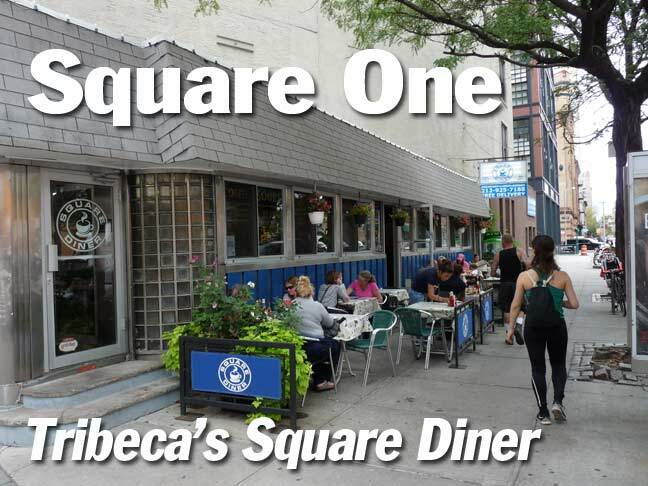 One of Manhattan’s diners bucking the trend is the Square, at Varick and Leonard Streets in Tribeca. Both the illuminated sign and comments I heard from the manager indicate that it has been here since 1922. 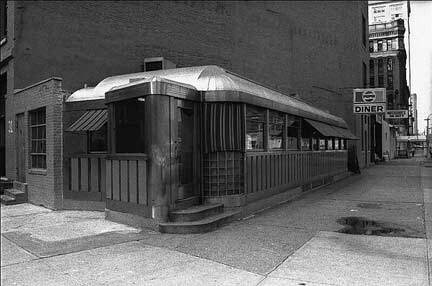 However, the diner itself was manufactured in 1947 by the Kullman Dining Car Company. It was originally called the Triangle Diner, which makes more sense re the overall shape of the building’s footprint. This location may be relatively immune to immediate redevelopment, given the small, odd-shaped plot. The entrance is flanked by glass blocks, which was also a feature of the Cheyenne. As if it dropped into town right out of Central Casting, the Square Diner is a den of mid-century, blue-collar charm in the midst of 21st-century Tribeca. 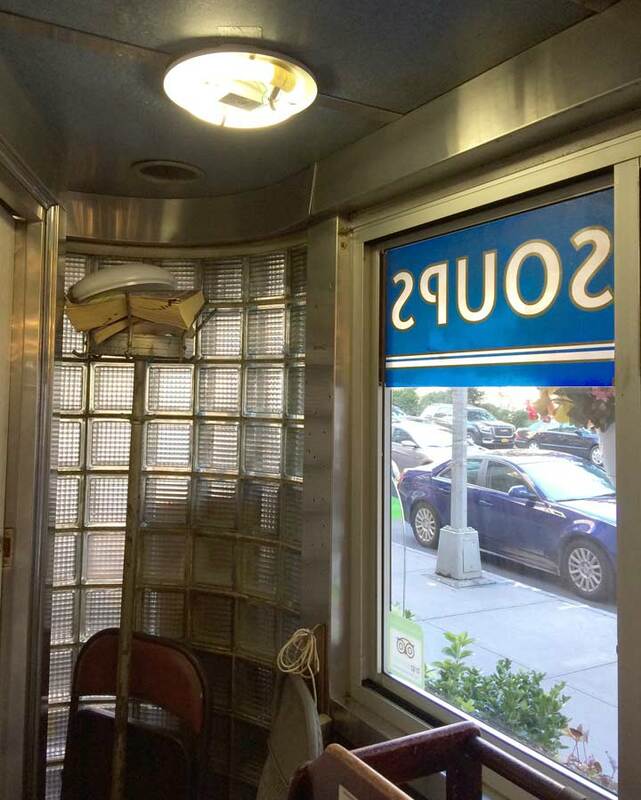 The chrome-age exterior, like a train car or a World’s Fair ride, is the first indication that the diner will have you stepping back in time. Inside, the restaurant takes on a bit of an Art Deco nautical theme, with polished wooden bead-board on the ceiling and porthole-like mirrors along the back wall, just below the row of celebrity headshots that all look like they date from the mid to late eighties. Get there early on Saturday and Sunday, closing time is 4 PM. i’ve been eating here for years. i’d recommend the spanakopita (spinach pie). the key to it’s survival is that they own the building so no one can force them out. i’m sure they’ve had offers but to their credit, they haven’t given in yet. Unfortunately, they end up being seeing as prime real estate space, which is why a lot of them end up either getting demolished or end being relocated from their original locations. 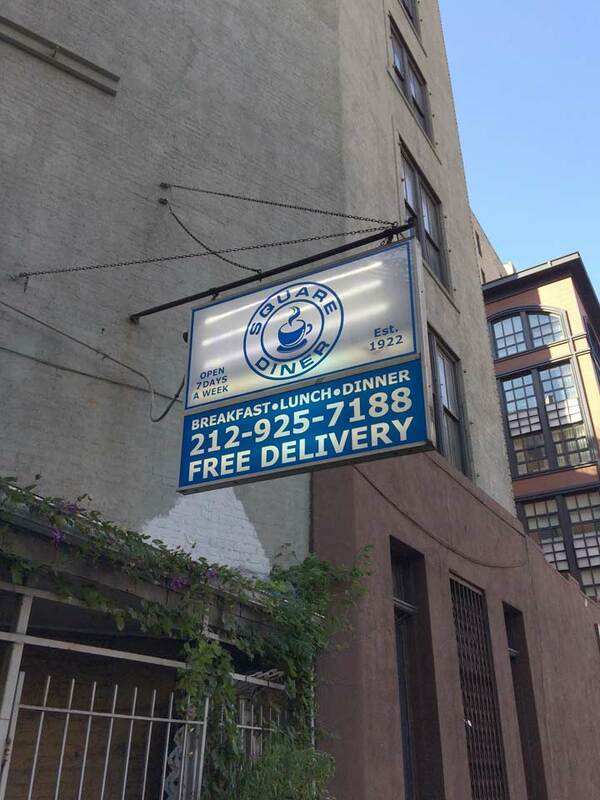 We used to go there for lunch from the office. My recollection is that a few years back they tried up-scaling it (like Odeon, a few blocks south) from diner fare to white table cloth, but then they reconsidered. The local civil servant crowd aren’t dropping $23.00 bucks for broccoli and pasta during their 30 minute lunch period. There used to be several more very good old school diner/luncheonettes within a few blocks. All were gone by 2006/2007. I used to work right around the corner from here. It’s a shame I never went to check it out, I always assumed it was really a bistro in disguise. But I love old school greasy spoon diners, and this place looks legit. 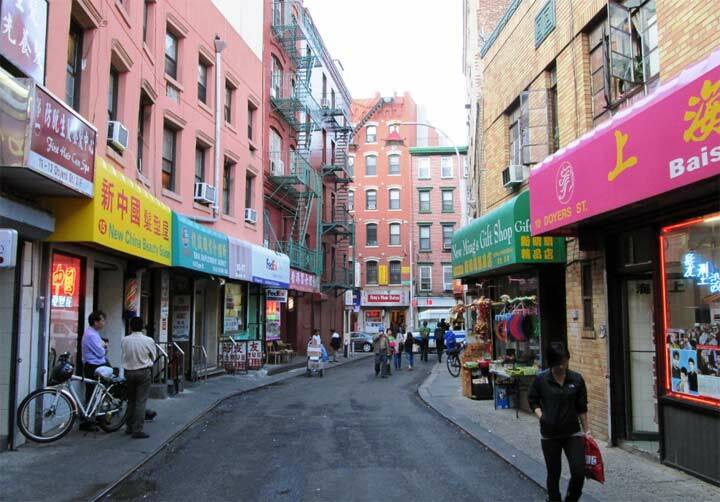 You can also find similar places in Chinatown – My personal favorite is the Cup and Saucer on Canal and Eldridge.